The Technics SL1200 series of turntables have been enjoying something of a renaissance. 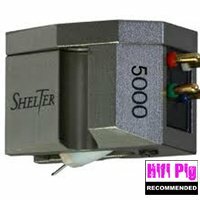 It’s hard to move in hi-fi circles without reading or hearing about the great performance that these ‘hidden gems’ (properly modified) are capable of. I’m a former owner – but not an admirer. I’m an ex-owner precisely because I tired of what was, for me, a big but ‘rough and ready’ sound. 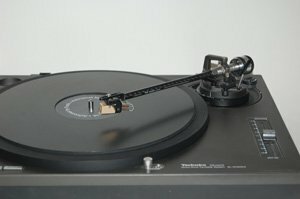 I’d actually had more than enough of my SL1200 (Mk2) by the time I was 20. So, like someone who moves on from an XR3 to an RS3. I’m not a huge fan. Very slightly nostalgic maybe (it was OK at the time) but I’m not delusional. As a consequence, I’ve not bothered to familiarise myself with any of the ‘breathed on’ SL1200s available from various sources. In fact, what I’m about to say will have some readers whispering gently to their Technics SL1200s, SP10s or other Japanese direct drive decks, “Don’t listen darling – he’s clearly mad…” But… I smell a fad. Days passed and I became increasingly uncomfortable with my initial refusal. Arthur Khoubesserian isn’t one for fads or following the crowd. In fact, although arguing over who is the most innovative turntable designer ever is a possibly futile exercise, what is certain is that Arthur Khoubesserian will certainly form part of that conversation. He invented and patented the acrylic turntable platter, blazed a trail with the use of DC motors, the inverted bearing, the use of light and rigid materials like aerolam, developed different approaches to the problem of single motor pulleys’ tugging platters in one direction (most recently in the form of Funk’s patented 3 pulley ‘Vector Drive’). All this at a time when the Linn Sondek LP12 (and the numerous other variants of Ed Villchur’s original AR turntable) were the accepted turntable design wisdom. 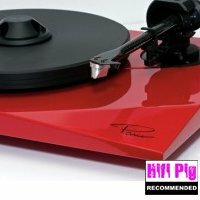 Fast forward 34 years and acrylic platters, DC motors and inverted bearings are now de rigueur and his turntable innovations continue – most recently with a patented ‘Achromat’ platter interface and i-beam based tonearms, providing an order of magnitude more rigidity than previously available. Coming to my senses and realising that when one of the world’s leading turntable visionaries assures you you’ll be in for a sonic treat, only fools refuse to listen, I cracked, called Arthur, issued my customary “If you throw the review die you take the consequences” warning and awaited delivery. Arthur turned up a week or so later, with a very large box. There are 3 approaches to SL1200 renaissance heaven. Firstly, there is the ‘buy a ready-modified new old stock (or second-hand) example from one of the specialist suppliers’ approach. 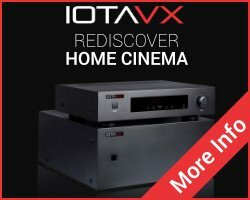 Alternatively, you can send your beloved SL1200 in for surgery and finally (as here, more or less) simply order a kit and do the work yourself. 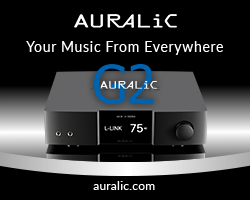 Expressing surprise at the lack of a replacement power supply for the deck, Arthur explained that Funk’s limited range of SL1200 modifications concern those areas that his research has shown to be most significant – specifically the arm, platter and servo sensor. The arm is a £960 SL1200-specific version of Funk’s FX-R, the FX-12000, mating their customary carbon fibre tube encased i-beam to the SL1200’s arm bearing assembly. It’s a disconcertingly minimalist affair, reminiscent of a Naim Aro or Morch tonearm and a world away from the purposeful, dreadnaught-type construction of, say, modern-day SMEs, for example. It came pre-fitted on the review sample. 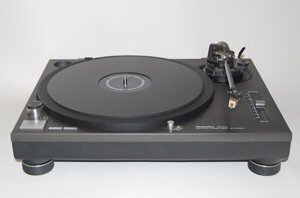 For me, the SL1200 turntable was akin to that girlfriend from my teenage days I very quickly outgrew. Fast-forward 30 years and guess what? She’s now cultured, sophisticated and better looking than before. Funk’s £600 replacement platter is a truly wonderful one-piece machined acrylic affair, available in either black or the more customary translucent matte (which Funk amusingly describes as ‘snowy clear’). 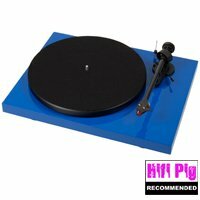 My review deck was the matte black SL1210 variant, mated to the black acrylic Funk platter. I’ve owned 3 acrylic plattered decks, all featuring the ahem… ‘snowy clear’ type acrylic platter. I’ve been missing out. The all-black combination of deck and platter looks sleek, stealthy and understated. Funk’s patented Achromat platter interface (£66) again in black (but available in 7 colours) is sufficiently undersized to ensure that it doesn’t foul the outer ‘lip’ of records and features a label recess, ensuring perfect contact with the actual record playing surface. 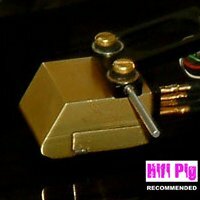 The supplied cartridge was a Myabi – a cartridge I’d heard great things about, but had not actually heard. I spent about a month with the Funk Firm SL1210. It’s no exaggeration to say that it reignited my love affair with vinyl. From the moment I switched the deck on, I was a teenager again. Speed adjustment on the fly! (I’d forgotten about that). Tucking the thing under my arm, throwing it in the car footwell (sorry Arthur…) to go over to a friend’s place to listen to the deck in his system. I’d forgotten how utterly bombproof and what great, great fun these decks are. Funk modified, the legendary robustness remains. I’ll admit it – I’ve been missing out. I presumed – wrongly, that there was more than a touch of ‘Emperor’s New Clothes Syndrome’ in the whole SL1200 renaissance. The truth is that, the Funk Firm’s reworking of the original design has resulted in a genuinely wonderful turntable. The original SL1200 always had great authority and drive but just shrugged its shoulders at the concept of finesse. It gave you a fair idea of what was going on – but irrespective of partnering cartridge, for me, it just lacked resolution. Funk’s re-working is nothing short of a revelation. Though the overblown lower registers of the original are banished, bass still manages to retain the authority and drive of the original, but is now taut, majoring on textural information and separation of bass instrumental lines. But it’s the revised deck’s midrange resolution that has led me to really rediscover my love of vinyl. For me, there are certain non-negotiable qualities an audio component must possess in order for them to pass muster – soundstaging ability is one of them. The Funk SL1200 – with FX1200 arm, provides soundstaging better than several respected hi-fi decks it wouldn’t be fair to name – I suspect largely as a consequence of the FX-1200 arm and Achromat platter interface. 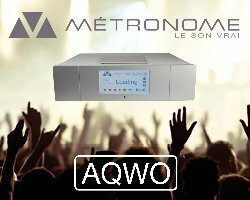 While soundstage depth is very good, soundstage width is firmly in the ‘panoramic’ class. Through both the supplied Myabi cartridge and a Denon DL-304, the Funked SL1200 managed to achieve what is, for me, that holy grail of treble reproduction, fluidity, while simultaneously being peppered with wonderful detail. None of the ‘obvious’ treble of the original. In fact, with tracking weight and VTA optimally set, a little aural adjustment was required, as the treble just refused to draw attention to itself unless treble energy (rather than distortion) was actually present in the program material. Despite the unmodified power supply, to my surprise, the overall noise floor was surprisingly low, leading me to suspect that Funk’s assertion that upgrading platter and arm is where the greatest gains are to be had is actually well-reasoned. 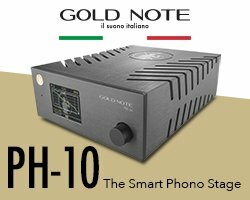 The Funk Firm SL1200 is genuinely high end. Bass articulation, pitch stability, midrange coherence, soundstaging ability, delicate, unforced, yet detailed treble and top to bottom transparency are all a world away from the original. The Emperor really is wearing new clothes.